This Presentation date is January 29, 2019 at 13:30 - 18:00 local time. Data centers aren’t so central any more. With the advent of public and hybrid clouds, data is being moved in many different directions in and out of your network. How can you take advantage of the cloud while still ensuring your data is secure and available? 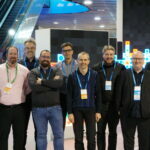 Cisco has the answer with their new announcements around HyperFlex, ACI, and CloudConnect. This session will dive into the latest platform innovations including the newly launched HyperFlex Edge with Intersight management. See how easy it is to deploy and managed hyperconverged clusters at worldwide scale. The session will also demo Cisco SD-WAN, HyperFlex, and Intersight integrated into a unified branch-in-a-box offering. This session will explain the ACI Anywhere integration with the public cloud. More specifically it will cover the ACI integration with AWS. 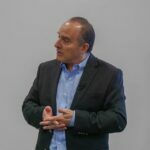 Cisco is in a unique position in the industry in that it has the capability to both extend infrastructure policy from user to application (end to end horizontal integration) but also vertically from the transaction to the process to the server to the packet to the wire. This session will discuss the architectural framework and current status for the products and technology behind these efforts.